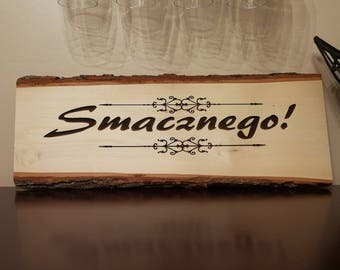 Smacznego Wall Decorative sign. Polish Bon Appetite. Size of first letter is 6-7 high. Length of entire word is approximately 21"
Made from recycled hardwood floor planks. 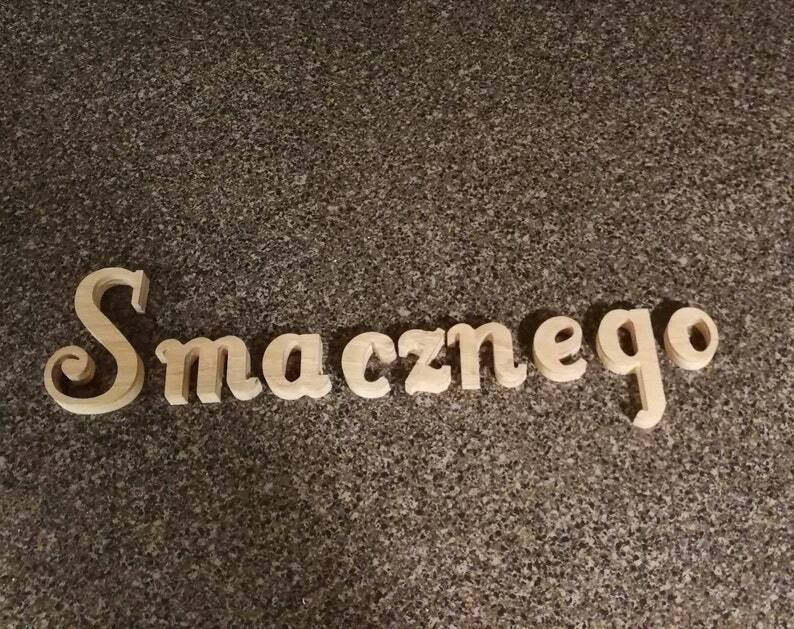 Smacznego - Bon Appetit - Polish sign. Custom engraved HOPS skull bottle opener. Custom designed and engraved Skull bottle opener. Custom cutting service for Model boat frames or model airplane frames. Custom engraved Angry skull bottle opener.